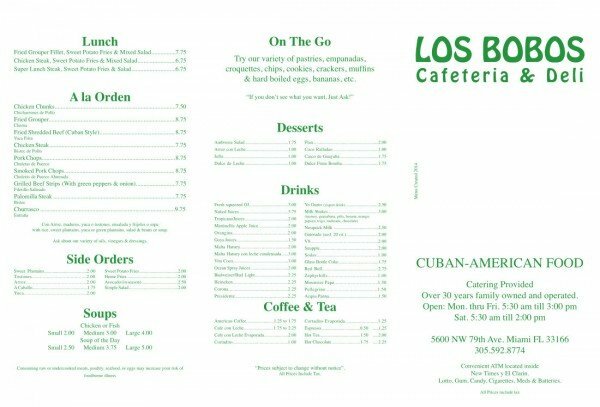 You wanna talk old school Cuban cafeteria? Los Bobos is located in the warehouse area near Rowland Coffee Roasters (Cafe Bustelo and Pilon) in a pretty non-descript building. They’ve been doing their thing here for over 30 years. There are no seats, only standing counter space. 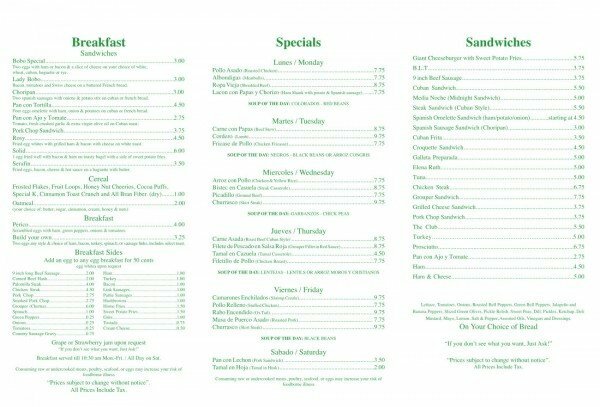 And you will find a great cross section of Miamians eating here, anyone from truckers to guys in suits stopping in for a Cafecito. There is no pretense here just great home cooked style Cuban food with friendly service. It’s important to mention that Los Bobos is cash only but there is an ATM inside. *Before I say a few words about the food I’d like you to know in the spirit of full disclosure that I am friends with the Llizo family who owns Los Bobos. 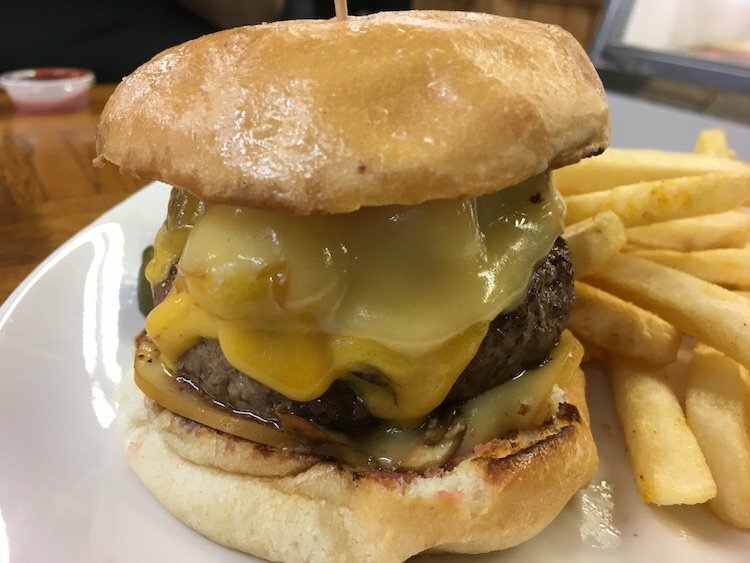 I have been eating here since I was a kid that could barely reach the counter. There’s even a sandwich named after my father, el Serafin (Fried Eggs, Bacon, Cheese & Hot Sauce) on the menu. The sandwich is very good by the way. Since Los Bobos is only open till 3PM on weekdays and 2PM on Saturdays I always find myself having breakfast here. If you’re an early bird, the good news is they open at 5:30AM. The Pan con Tortilla (Omelette Sandwich) is excellent but make sure to get the Swiss Cheese, Ham and Chorizo combination. It’s a morning home run. The Chicharrones are crunchy with that little piece of squishy pork I long for, not in an amorous way but I do love them. You can only get these fellas Monday through Friday so plan accordingly. The Medianoche is one the best in the city which is why I invited them to be a part of the Medianoches & Mixology event that I curated at the 2014 South Beach Wine & Food Festival. 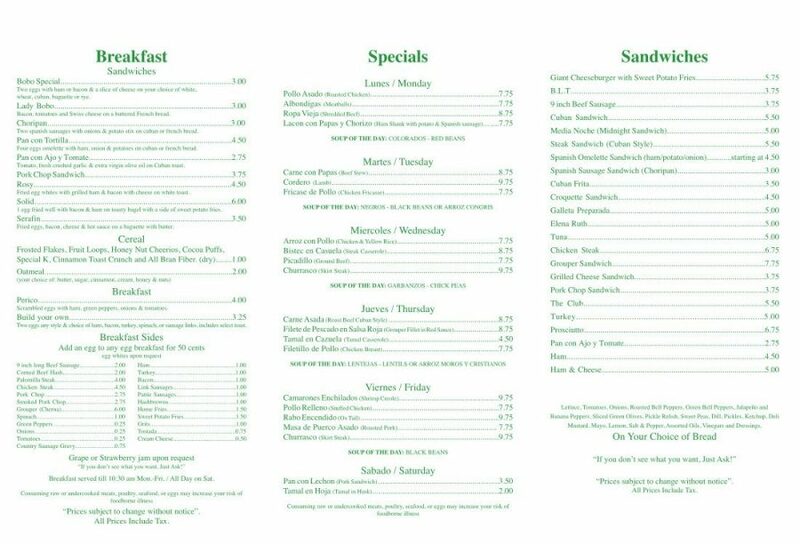 There are daily specials of course as any good Cuban joint will have. Saturdays you can find Pan con Lechon and Tamal en Hoja (served on the husk). The Pan con Lechon from Los Bobos is the real deal. These guys know Pork. I’m not trying to take anything away from the Tamal (which is good) but the sandwich deserves to get scheduled on your calendar for a visit. What’s a cafeteria without homemade desserts? The Flan or Dulce de Leche Cortada (Curdled) would be my two suggestion, both creamy but not overly sweet. You can assume that Los Bobos makes a mean Cafecito or expresso, they do. Those of you afraid to say the word publicly, let’s get in some practice together: Ca-fe-cee-to. Ca-fe-cee-to. Got it? 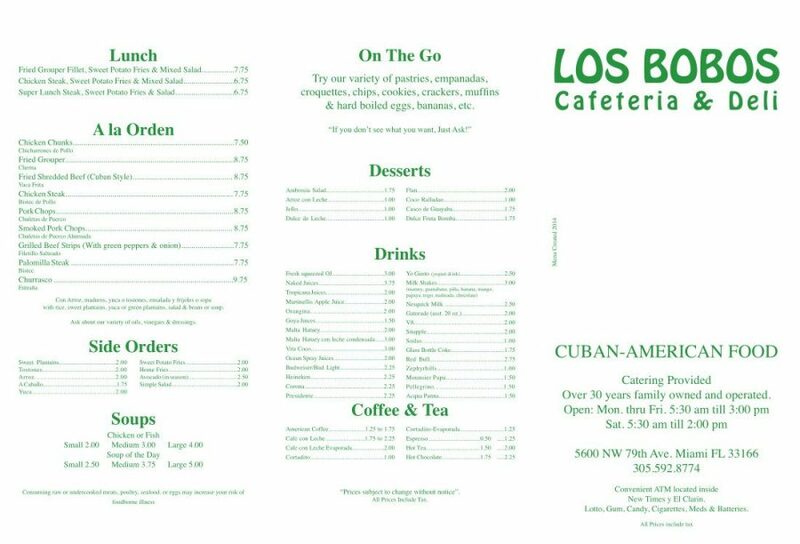 Good now stop messing around and go eat from Los Bobos, a part of the real Miami. P.S. : It might help to speak Spanish. *The best part is that I’m known as Serafin’s son at Los Bobos, nothing has changed in thirty years.